Healthy soils = productive pasture. And, water-logged soils that resulted in mud is just one component that might have led to decline in soil health in 2018! 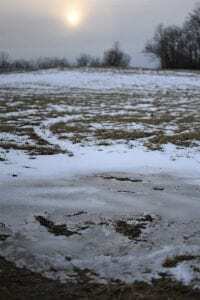 It was just a little while ago when we wanted the rain to stop and the temperatures to drop below freezing to end the accumulation of mud in our fields. 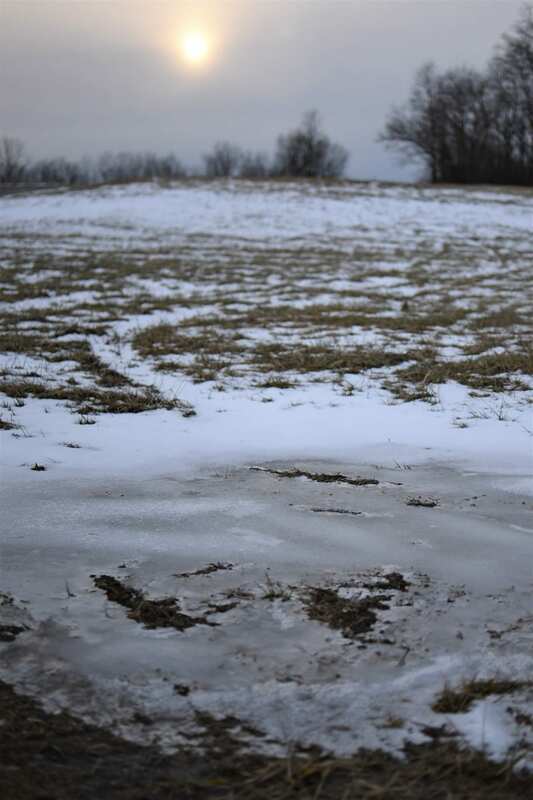 We got our wish later in January, but what will be the long-term implications of these muddy fields? First, we need to understand what created these water-logged conditions in the first place. While excessive rainfall certainly has a role to play, the health of the soil affected will determine how long mud persists and whether forages will be able to recover in the following spring. Before going into what soil health is, let’s explore what soil is. Soil is not just made up of “dirt.” It consists of mineral material derived from the bedrock below, pore space filled with air and water, and organic matter generated by microbes and macro-invertebrates. Healthy soils will have all of the aforementioned components and function as a living ecosystem – if a component is missing or one occurs in excess, we will begin to see problems develop in our fields that will negatively impact forage growth. The amount of organic material present is especially important when it comes to water-logged soils – organic matter acts as a sponge, and the more organic matter present, the more water soil can hold. And while thinking about sponges, are all pore spaces within a sponge the same size? Good quality soil will have both smaller micro-pores and larger macro-pores that plant roots can access for water, while poorer soils will often have more micro-pores retaining water that roots by themselves cannot access. Another important component of soil health is infiltration, or how water on the surface moves through the soil profile. When water initially makes contact with the soil surface, it usually does not immediately head downwards to the water table, rather it initially moves horizontally along the surface. When you slowly add water to a sponge, it takes time for that water to occupy pores and move further downwards, and with an extremely dry sponge, it may take several seconds for water to become absorbed at all. What we see in soils that are poorly drained due to either soil type (high clay), compaction, or hardpans caused by tillage is water moving through the soil at a much slower rate and remaining on the surface for a much longer period of time. If water remains at the soil surface, this will also affect nutrient cycling. When soils become saturated, pore space becomes filled with water as air is pushed out. These soils lack oxygen, which affects the soil bacteria that require oxygen to survive. These microbes will turn to nitrate (NO3-) that has oxygen as part of its chemical structure. When the oxygen is used, the NO3- molecule breaks apart, releasing nitrogen (N) into the atmosphere through a process known as denitrification and resulting in a loss of N that cannot be taken up by plant roots. Nitrogen is not the only nutrient that plants cannot uptake in poorly drained soils. Arbuscular mycorrhizae are fungi that have a mutually beneficial relationship with forages – one of the benefits provided to plants is better access to nutrients such as phosphorous (P) that is often out-of-reach for forage roots. When waterlogging occurs, mycorrhizal activity is suppressed, limiting the amount of P uptake that can occur. Come spring, many of us will be renovating our pastures, and as we look to improve affected fields, we should also look to improve the soil health in these places. Avoiding traffic in muddy fields will help to avoid soil compaction. Having sacrificial paddocks or fields or installing a heavy use pad are a few ways to minimize compaction issues due to traffic. Some fields may require the use of a ripper to break up heavily compacted areas or hardpans. Using no-till practices can prevent hardpans from forming, build soil organic matter, and improve habitats for beneficial microbes. Furthermore, by avoiding excess applications of fertilizer, especially phosphorous, we can promote the development of arbuscular mycorrhizae that provide so many benefits outside of improved nutrient access. These fungi can make plants more resistant to stressful conditions such as drought and disease, and they also produce a substance known as glomalin that acts as a soil glue. Glomalin creates soil aggregates that are important for improving soil structure and creates macro-pores. When we have flooded conditions, use tillage, or apply too much fertilizer, the population of arbuscular mycorrhizae declines, leading to a reduction of glomalin production in the soil and limiting root access to water and nutrients. In short, manage the livestock and pasture both above and below ground to get the most from your fields. Posted by Smith at 5:14am February 26, 2019 Posted in Pasture. Bookmark the permalink.